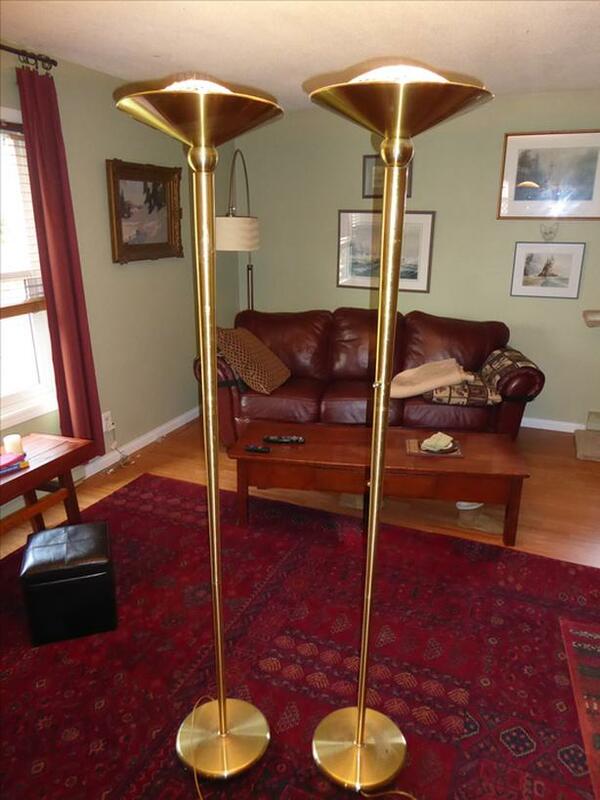 Beautiful pair of tall brass floor lamps with dimmable halogen bulbs (included). In good shape however a little Brasso would not hurt. Also available two brass desk lamps and another conventional brass floor lamp. Not included in price.